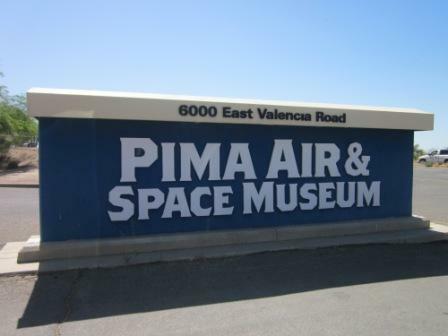 Two years ago, in 2013, I visited the Pima Air and Space Museum near Tucson, Arizona. 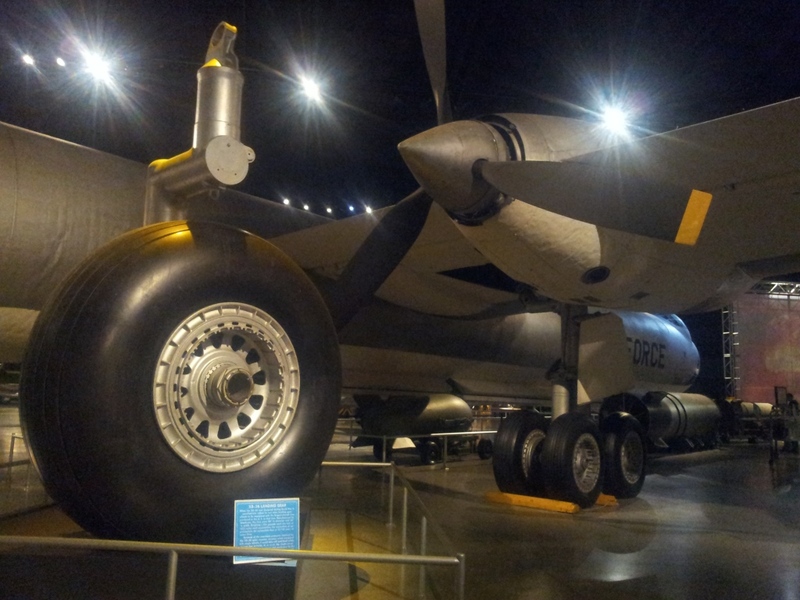 One of the airplanes that really catches your attention in it is the bomber Convair B-36 Peacemaker, with its 10 engines: six turnin’ and four burnin’ (I wrote a post about it here). Ten engines: “six turnin’ and four burnin’ “. 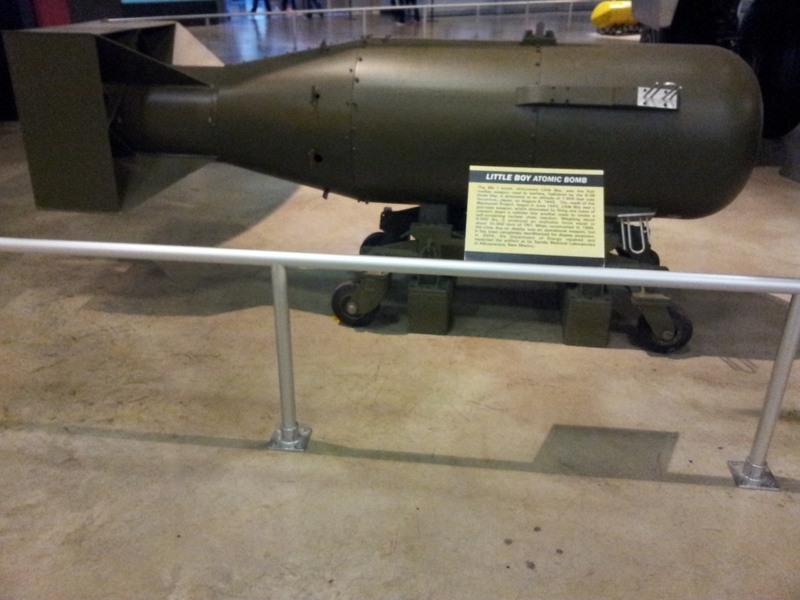 When I wrote that post, I received the following comment from a reader, Ian C.
If you are ever back on this side of the pond, the National Museum of the Air Force has an XB-36 tire. It is just ridiculously large. 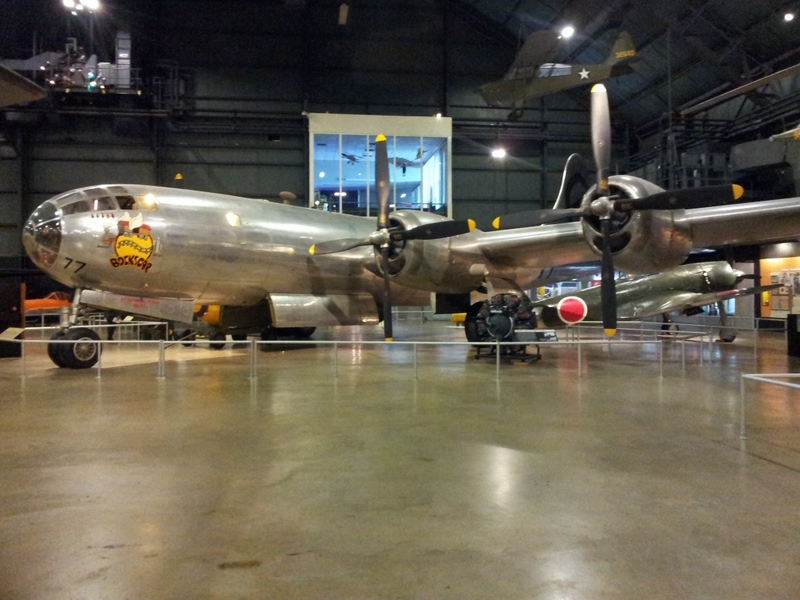 Last year, in 2014, we travelled again to the USA and this time we visited the National Museum of the Air Force (1) in Dayton, Ohio. Let me close the loop by showing you this famous tire accompanied by some facts about it. 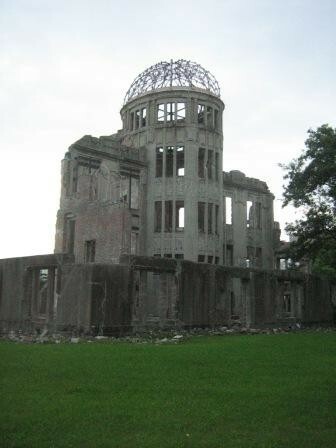 (1) See here the post my brother Jaime wrote about our visit to it. (2) This is not the post to do so, but it triggers the need to write one day about the California Bearing Ratio, doesn’t it? Pima is a county in the South of Arizona, where the city of Tucson is located. 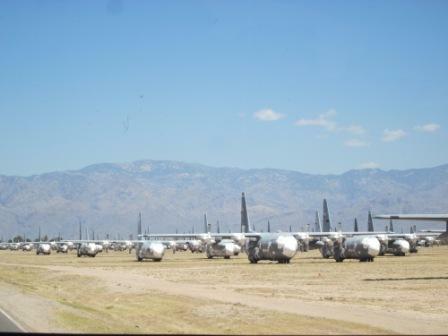 Tucson is home of the Davis-Monthan Air Force Base, where the US Air Force’s 309th Aerospace Maintenance and Regeneration Group (AMARG), known as “The Boneyard”, is located. I wrote about the Boneyard in a previous post. 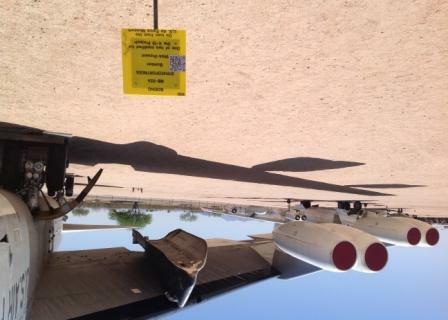 In order to visit the Boneyard, you need to visit the Pima Air & Space Museum and that is how I got to know about the museum. Pima Air & Space Museum (Tucson, AZ). 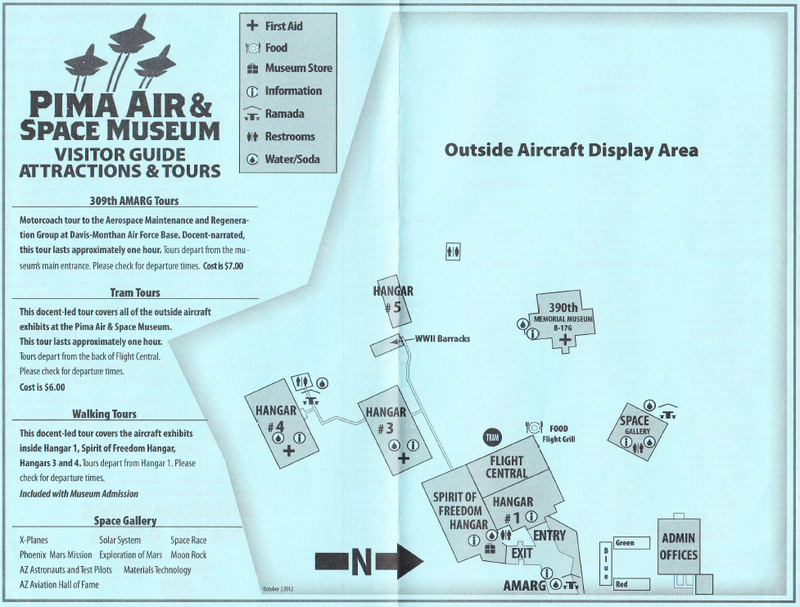 Pima Air and Space Museum map. 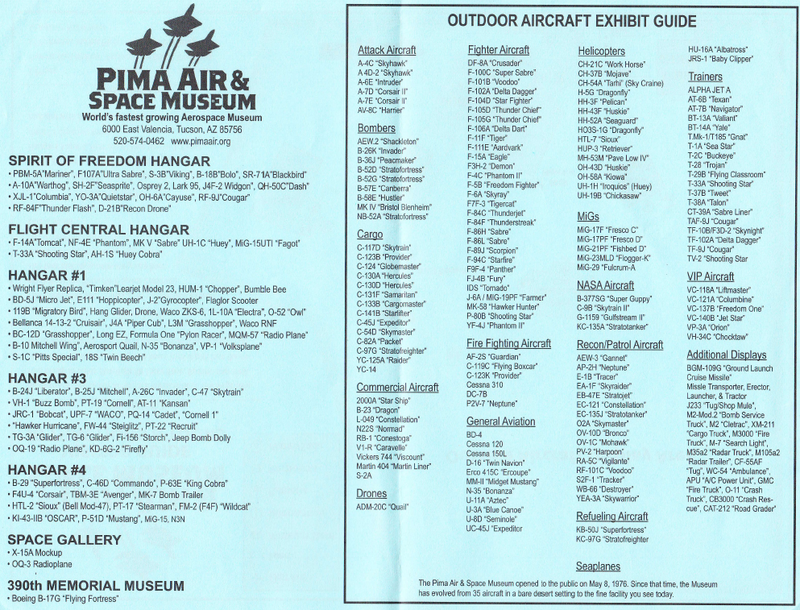 Pima Air and Space Museum inventory. 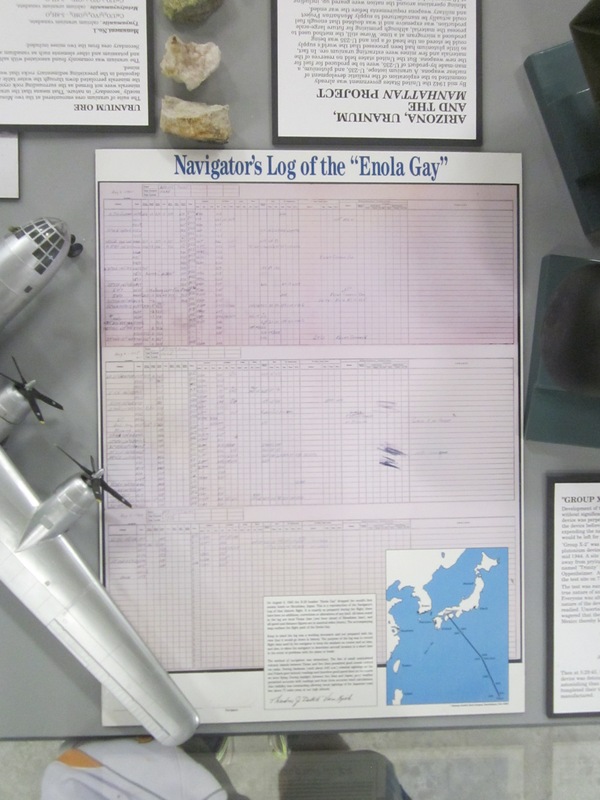 As you can see from the inventory above, the list of aircraft exhibited at the museum is simply impressive, overwhelming. Add to that, that in this museum you can get as close to the aircraft as you wish. 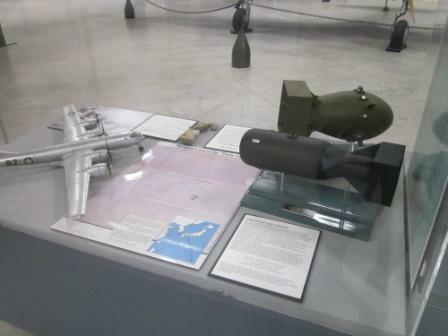 In the website of the museum you can find brief explanations of each of the aircraft on exhibit (here). This aircraft index can be surfed very handily ordering the aircraft by different criteria. 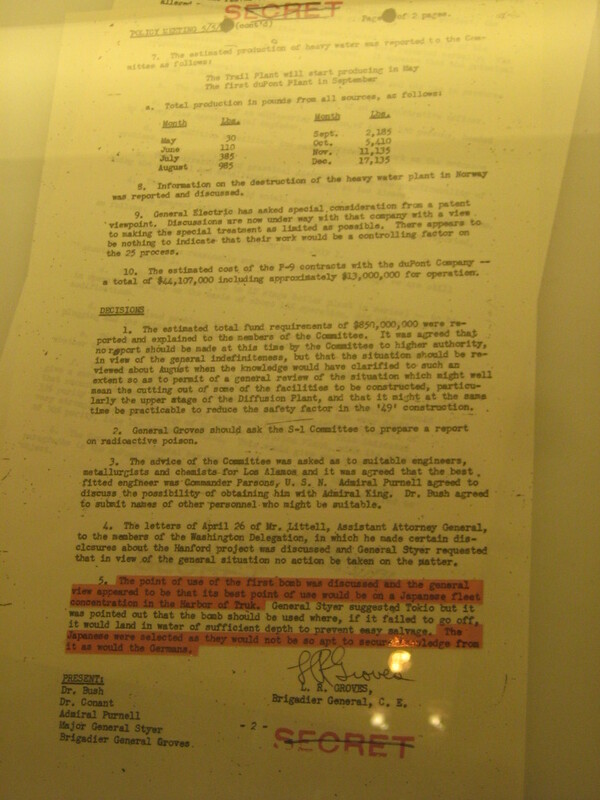 The information about them includes some technical specifications, a brief historical explanation and a picture of the aircraft (I would almost say that it makes up for a visit of the museum). A very good job on the part of the museum curators. Up to three lined up B-52 Stratofortress bombers (including the mothership of the X-15, see a post a wrote about it here). A Boeing YC-14… of special interest for those of us working on military transport aircraft. Two Lockheed L-049 Constellation (“Connie”). A Boeing B-17 Flying Fortress. An impressive Douglas C-124C Globemaster II. 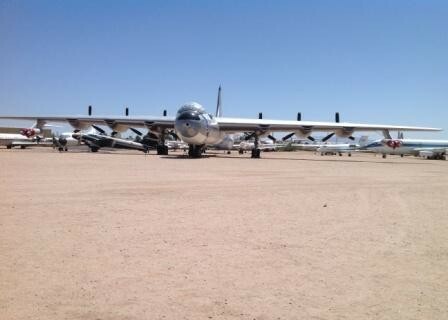 A Convair B-36 Peacemaker (with its 6 turboprops plus 4 jet engines!). A British AVRO AEW.2 Shackleton with its contra-rotating propellers. 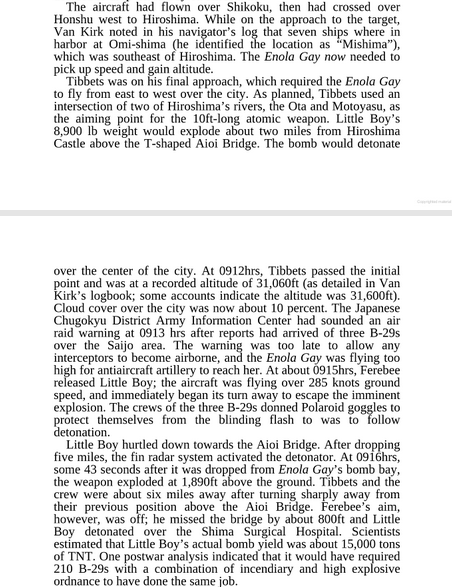 A Boeing B-29 Superfortress (the same model as the Enola Gay of which I wrote this post). 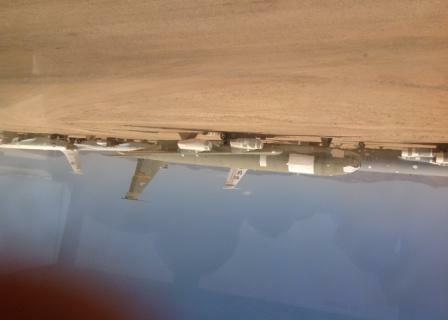 … plus a Super Guppy, some presidential Air Force One, Hercules, fighters, tankers, C-141… and many more. 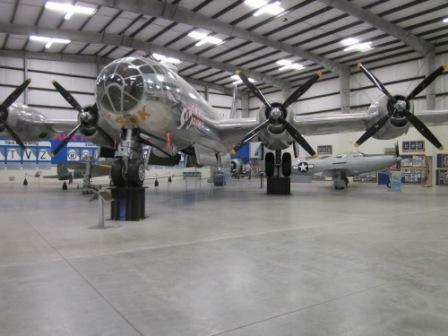 The Pima Air & Space Museum has also facilities to restore the aircraft they get and bring them to a decent status to be put on exhibition. 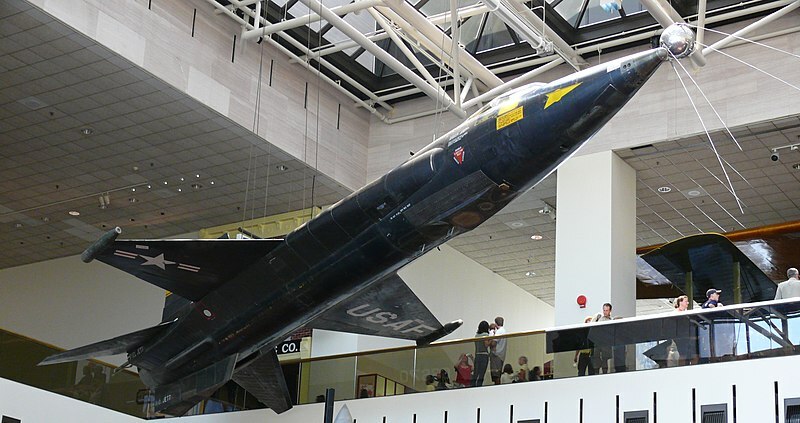 Some of the aircraft are on loan from the US Air Force Museum. 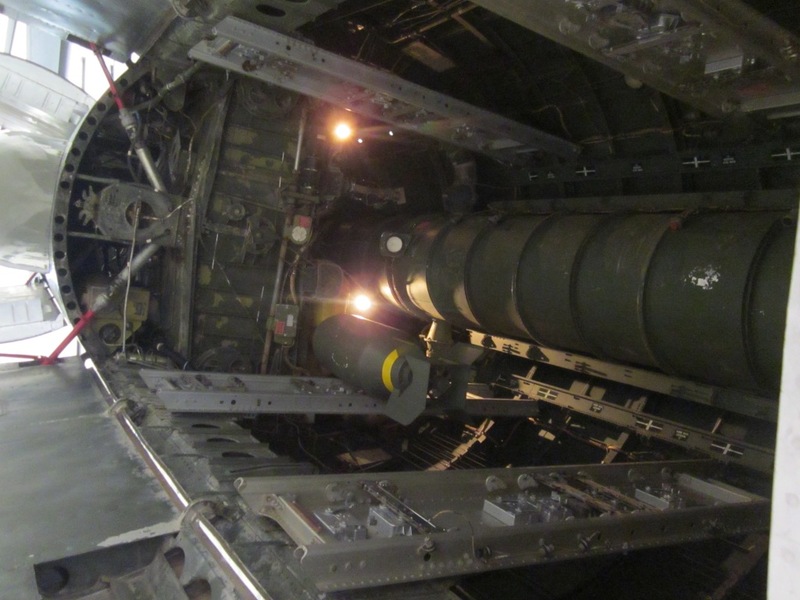 Within the museum there are plenty of US armed forces veterans willing to share with you detailed explanations or anecdotes from any of the aircraft. The tram visit of the outdoor exhibit is guided by one of these veterans… no need to say that the experience is fantastic. 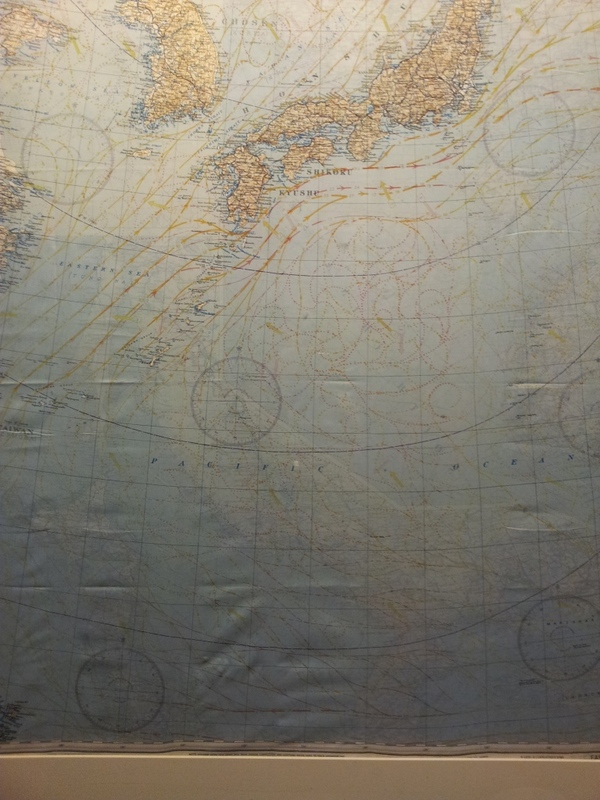 It goes without saying it, that I strongly recommend to visit this museum as it is one of the best aerospace museums that I have ever visited. 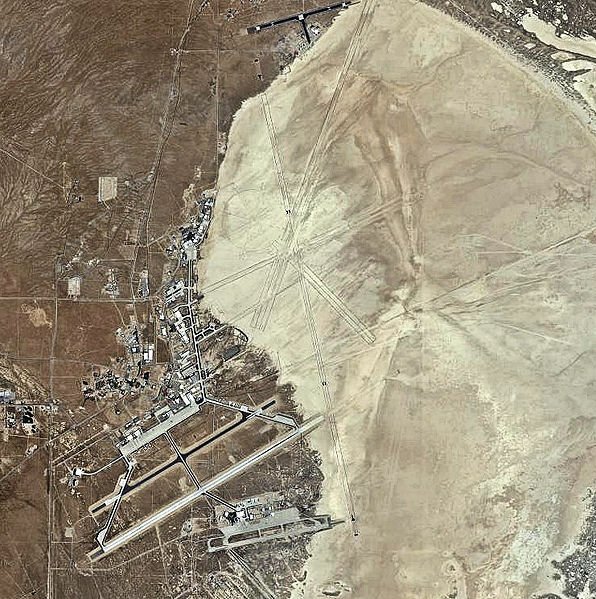 Couple that with the visit to the Boneyard and it is definitely a must for aerospace aficionados. book yourself a place both in the tram to visit the outdoor exhibit and in the bus to visit the Boneyard (for this a photo ID will be necessary), as tickets sell out, be there at 9am.